A new Kenny Barron album is always an important event. For one reason, he never, ever disappoints. What's more, he seems to personify the entire history of modern jazz. Suffice it to say, he is a national treasure. Yet, somehow, he also continues to grow as an artist. And we are all the beneficiaries. Now, just a month before his 75th birthday, we have a new album from the Kenny Barron Quintet. Anyone who has followed Kenny's career closely knows that he's recorded many albums with quintets, but not for the last ten years or so. This is also Kenny's first recording as a Blue Note artist (query to Blue Note: what took you so long?). The quintet is comprised of Kenny's regular, outstanding rhythm section of Kiyoshi Kitigawa on bass and my man Johnathan Blake on drums, plus Mike Rodriguez trumpet and Dayna Stephens on tenor sax and flute. The result is an absolutely beautiful recording of a varied repertoire of songs, more than half of which are Barron compositions, a few of them brand new. The album also includes a solo-rendition of one of Kenny's favorite Monk compositions, "Reflections." No one would suggest that this album of being on the cutting edge of jazz - it is thoroughly mainstream. And the musicians are not concerned with displaying the enormous chops each of them obviously possesses. Kenny's playing almost seems subdued at times; in fact, it is perfectly measured to the music. All of the artists are there to serve the music. In approaching their parts, they seem to ask the crucial, but often overlooked question, "What does the melody want me to do?" 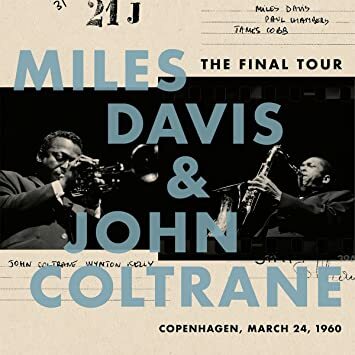 Thanks goodness, many avid jazz aficionados still appreciate that mainstream jazz performed by truly great, creative musicians can be just as exciting and as satisfying as the most experimental offerings with wacky time signatures (and often hardly any melody to speak of). Don't get me wrong, I appreciate, and even enjoy, a lot of the cutting edge music from today's jazz avant garde. But I still love a beautiful melody, beautifully constructed with interesting arrangements, and beautifully and interestingly executed. 2018 has a long way to go yet, but I'd be surprised that if this album were not among my two or three favorites at year's end. That' prediction would surprise few of my friends, who know that I revere Kenny Barron as I revere very few artists of any genre. In my view, he's among the great piano virtuosos in the history of jazz, and an incredibly underrated composer. Every album he releases is a jewel. "Concentric Circles" is no exception. My father begins his 90th year today. I feel fortunate for any time I get to spend with him, but doubly fortunate to be with him on his birthday. Israel takes another step in the direction of illiberal theocracy.